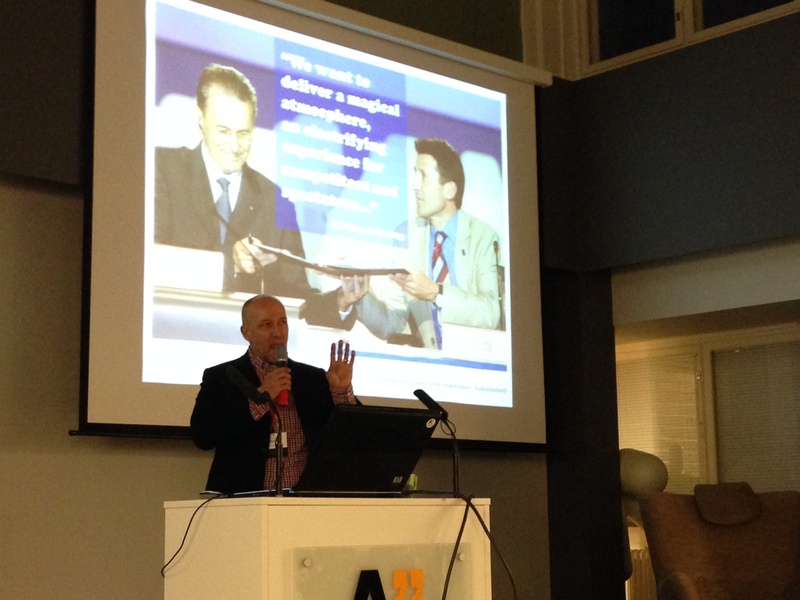 I participated in the first Service Design Achievement Award seminar on 22nd of January which was hosted by Katri Ojasalo from Laurea and Håkan Mitts from Aalto. The event took place at Aalto Design Factory. Five Finnish service design agencies participanted in the competition, and they had presented their best projects in the last fall’s Service Design Breakfast seminars. The agencies were Palmu, Reaktor, User Intelligence, N2 Nolla and Diagonal. Of course the main thing in this event was the announcement of the winner of the Service Design Achievement of Year, but before that we got to enjoy some interesting presentations. The theme for the day was designing and developing better services – a buyer’s guide. For me this was very interesting because we have just talked with our SID 2013 group about how to sell service design for our employers and for some of us for their clients, and on the other hand I was interested in the buyers view on behalf of my work. One common topic for the discussion was that service design is not really anymore just design but it is combination of design, marketing, technical and business competences. Like Anton Schubert from Futurice introduced to us that in the future service design agencies should have competences from each of these areas in their teams to really create value for the end users. He also said that agencies will provide more “full house” services for their clients. Jasmin Honkanen from Turku School of Economics introduced her findings from her Master thesis with the topic “Why are companies buying service design?”, and also she had found out that it is really important to combine service design and business in the future. Another interesting topic was that the service design agencies may not know what their clients are really expecting and it is often really hard to say if the agency has accomplished to answer to clients’ expectations because of that. Somehow agencies should look into their own processes and think more about what kind of experiences they are creating for and with their clients. Jasmin mentioned that agencies should set KPIs to be able to measure how they accomplished their project, and they should do that in a quite early stage of the project with their client. It would be also important to get information about what happened after they left the building and how the client is managing from thereafter. 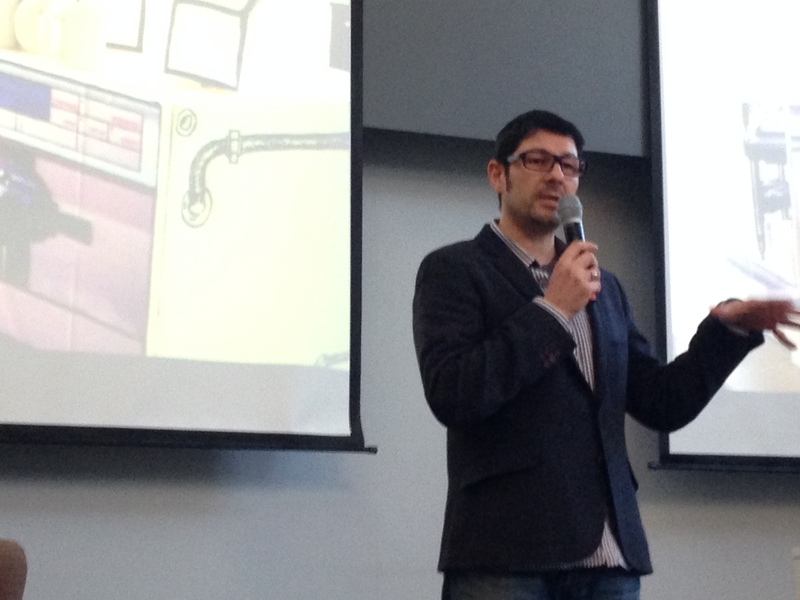 We also got to hear some concrete tips for the buyers how to be smart when procuring service design experts. Jussi Sorsimo from Culminatum Innovation told about their procurement handling process they have created for the public sector, and he showed us their picture of how the process should go. He reminded us about the golden rule that “the one, who has the gold, makes the rules.” He also talked about what is service design and who is the real service designer. These questions were raised also in others’ presentations, because some companies can use the word “service design” in their marketing, but eventually they don’t even do any service design. I think agencies’ and designers’ reference works will be even more important in the future to show clients in concrete way what they have done. Alex Nisbett was talking about little bit bigger project: London 2012 Olympics, where he had participated as a service designer. He told about what kind of service design actions they had done for the Olympics and why. They had quite a big challenge because they tried to do lot without any budget and before the Olympics started it was difficult to convince the organizers why their suggestions would need to be done because they could not test those anyhow. He emphasized that it is very important to have backup plans and backup plans’ plans in your pocket to make sure everything goes well in such a big event. He also told that they had this continuing changing loop “listen-learn-act-improve” what they used daily in the Olympics to make needed changes rapidly to give better experience for the spectators. He also reminded that it is very important to remember that the last day of the event can be someone’s first day and first experience. The event culminated in the announcement of the winner of the Service Design Achievement award. 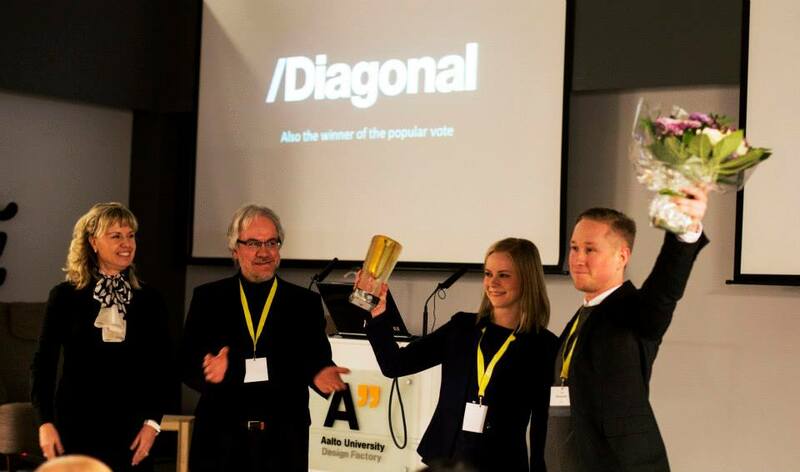 The criteria for the winning achievement included advancing the practice of Service Design “To help other service designers and service providers boldly go where they’ve never gone before.” And the winner of Service Design Achievement of the year 2013 was Diagonal with their project which they had done for the Finnish health care laboratory company Fimlab. You can find the presentation of the project here. Congratulations! This blog post is a part of SID course The Current Topics in Service Design and it’s written by SID student Minna Myyryläinen. ← Attitude matters in lean thinking: learn to fail fast for success!